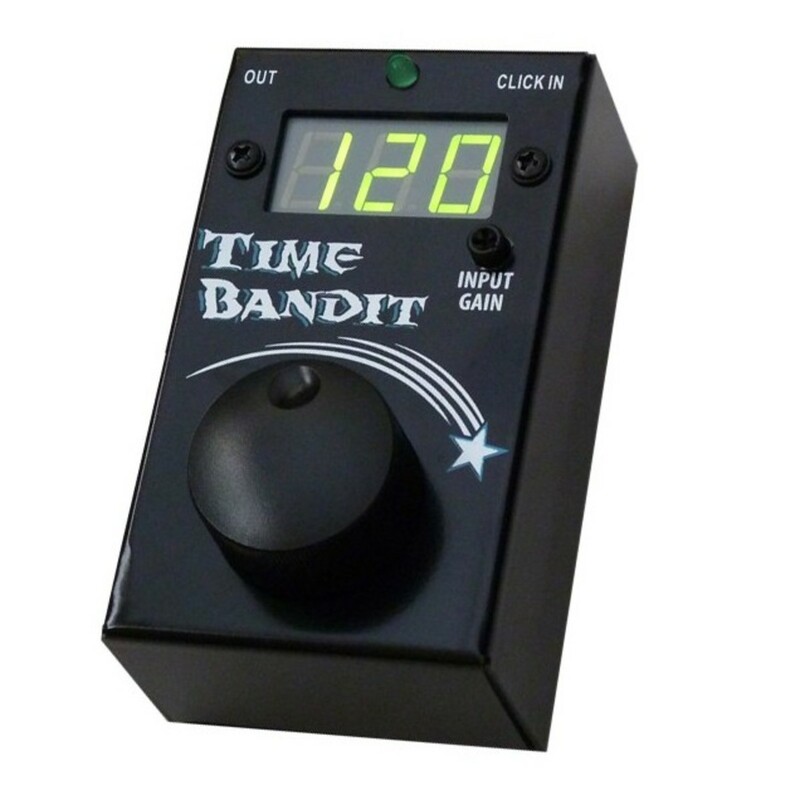 The Truetone Time Bandit Click Track BPM Generator is a handy controller for your pedals with external tap tempo jacks. The Time Bandit works by taking the sound of a click track or metronome and converting it to a signal that these pedals can read. It also features an in-built BPM generator, allowing to simply dial in your desired tempo, and provide you with perfectly tempo-sync'd effects. Converts the sound of click tracks or metronomes into a signal that can be read by delay pedals with external tap-tempo inputs. Easy to setup, with two 1/4" connections: one for the click track input, and one for the output to your delay pedal tempo jack. The input jack takes the click signal from a metronome or DAW and the Time Bandit then converts that signal and sends it out via the output to the external tap-tempo input of your delay pedal.